for the wet. Had 6 injections and the bleeding stopped. Progressed to having appointments every 4 months. Went for several years with no injections and then slight bleeding. Had 3 shots and bleeding stopped. In June 2016 bleeding again. 3 more shots. It has now been 13 months without a shot and no bleeding. See my doctor every 6 months. My vision is a little worse than it was when first diagnosed. I know that my luck will run out one day, but for now all is good. Has not interfered with any aspects of my life. Thank you for your positive comments and outlook. I had dry AMD for many years. It turned to wet in both eyes about 6 years ago. Up to the present time I have had 54 Lucentis injections in each eye. They certainly stopped the progression to a certain extent. I regulary have taken Omega 3 every day, which has probably helped. About 5 months ago I started taking Saffron in capsule form. It has certain helped with progression of this disease. My vision at the moment (English version) is 6/12. I can see the TV and sometimes read the captions. I can see to walk with a cane but driving is difficult. I hope this has been helpful to many people and I wish all people well who have this condition. Bythe way I am 86 years old. 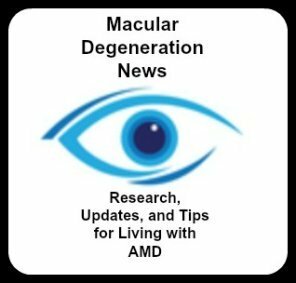 I have spoken to my friend, an eye surgeon, after getting the news that I have AMD. He said the only thing I can do at this point is to take the AREDS2 vitamins and mineral formula. Which I started taking that day!! Nothing else available at my stage, which is early/beginning. I have however heard that there are shots available, but they seem to be for "wet" MD. I am encouraged by the posts that state the progression can take a very long time. I’m 70 and an artist and hate to think I won’t be able to paint. About the heredity issue, my Father has "wet" MD at around 84ish and it progressed very quickly. Nothing helped, but that was 26 years ago and he passed right after he went blind. Don’t think he could handle the blindness. And I now understand how he must have felt! So I guess there may be a hereditary link. Although I have two living sisters and neither have it. Wishing all the people posting their experiences many years of SLOW progression! One thing about the question of AMD being hereditary or not. My mother’s first cousin has AMD also. My mother has afib too and this same first cousin also has afib. Her first cousin happens to be a male cousin in her father’s side. So I would say that it is hereditary, but I’m not a geneticist. I write on this site for my mother who is 91 yrs old. She has had macular degeneration for over 40 yrs. She seems to be the only one in her immediate family who has it, but she does have a male first cousin who has it also. AND they both have a heart condition known as a-fib. We don’t know if her brothers or sisters had macular degeneration, or her parents, as they all died in their 50’s and 60’s. So I surmise there may be a gene floating around in there somewhere on her father’s side of the family, as the first cousin is from her father’s brother. (Both have the dry eye form). My mother had "early onset" as she was diagnosed when she was 50 yrs old. Her cousin doesn’t know when it first happened to him because he didn’t check it out until much later. They are both in their 90’s now. Hi I have been diagnosed with dry AMD in one eye. I have an amazing diet and don't eat red meat or dairy. Stopped smoking years ago and have a couple of Red wines on a Saturday and no more. I have a juice of spinach, beetroot, apple, and carrots a few times a week. And I have a green smoothie about 3 times a week. They say it is hereditary ( not sure I believe that). I am one of 9 and the only one who has it. And the only one with the amazing diet. So not sure I believe it is hereditary. I take all my vitamins everyday and all we can do is hope it doesn't get worse. I read AMD can be reversed in the early stages. Has anyone else heard that. Or is it another myth they want us to believe to get money out of us. Hello - My mother has had dry AMD since she was 50 yrs old. She is now 91 yrs old. While her vision has decreased somewhat over the past 41 years, I will say that she has been stable for 6 years. She has lived with us for these 6 years, so I am able to be privy to this information as I go to her appointments with her. Before that, when she was 85 she gave up her license because she could not see the lines in the road anymore, but now 6 yrs later, her vision has been stable. She sees the TV, can read certain larger print and can still cook her own dinner and does her own wash. She uses a cane for walking as the cane is like a new set of eyes for her and she can navigate the ground better with it, so she doesn't have to walk so slow. In fact I notice she is less confident without the cane. She doesn't use it in the house, but we have good lighting for her. She always eats veggies and takes the AREDS2 vitamins and wears amber sunglasses when outside. I have read that total blindness is not the norm, and the sight that remains for my mom seems to be manageable. She does all right.